At Dr. King Scott’s dental office we are committed to using dental technology to help improve the quality of care we provide to our patients. Panorex is a great tool that also helps to demonstrate how technology can help to provide a better dental experience. 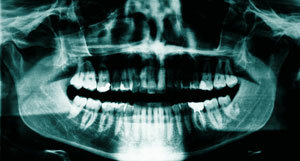 Panorex is a special type of X-ray that creates a panoramic view of your mouth from side to side. This is a helpful tool to Dr. Scott when he’s trying to thoroughly analyze your bite for a better smile treatment. This is also useful when planning restorative or cosmetic dental treatments because it shows clearly how your upper and lower teeth fit together to form your bite. These Panorex images can also be a helpful tool to help patients understand exactly what is going on with their smiles, and better understand why certain treatments are being recommended. This helps patients to have a clearer idea of what’s going on with their smiles. We use dental technology to help offer the most advanced and high quality dental care possible to our patients. To learn more about our dental technology such as Panorex, give us a call or schedule an appointment to see for yourself.